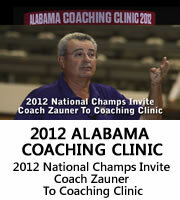 COACH ZAUNER'S LESSONS & CAMPS ARE FOR SPECIALISTS TO REFINE THEIR TECHNIQUE. 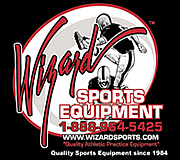 Emphasizing 'A Natural Style of Kicking and Punting', Coach Zauner with a master's degree in education has a teaching philosophy which facilitates an environment where kicking specialists develop the skills, technique and confidence to achieve their maximum physical and mental potential at an amateur and professional level. 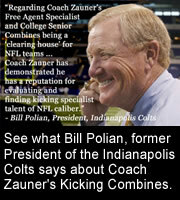 Coach Zauner's LLC programs and events provide a Kicker, Punter and Snapper.....Coach Zauner LLC Mission Statement. ONE on ONE LESSONS: Consists of (2) two hour lessons on consecutive days. Each lesson consists of two hours of video-taped instruction which includes a video review and a video copy of your lesson. Cancellation Policy: Client entitled to re-schedule (1) One time during 90 day period as long as cancellations are made more than 21 day prior to lesson. Lessons held at an outdoor facilities and will be conducted regardless of weather conditions.